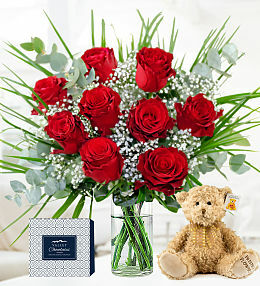 Valentine&apos;s Day has become a tradition each year to send flowers to that special someone to let them know you care and declare your passion simply by sending gorgeous red roses. 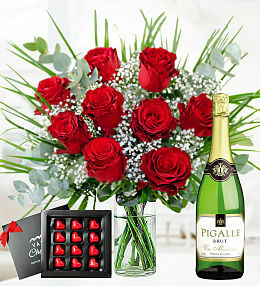 Popular valentine&apos;s gifts include a single red rose, but most opt for luxurious 12 red roses which is the ultimate romantic gesture. 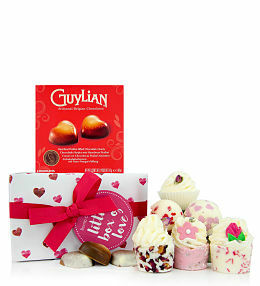 Some of our Valentine&apos;s Day flowers come with a free box of chocolates, a fine collection of delicious Belgian chocolates. 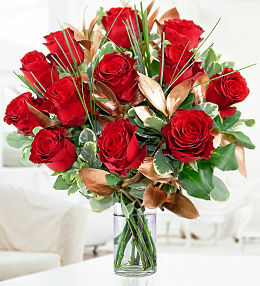 Order your Valentine&apos;s flowers online today and we will deliver them to your loved recipient on your chosen date. 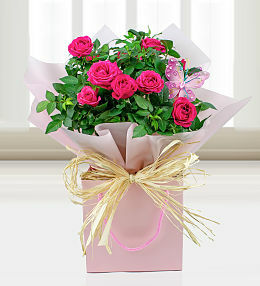 If you wish to remain anonymous, simply enter a mysterious message and do not enter your name. 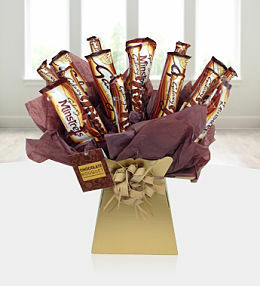 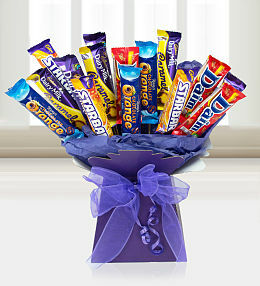 Our cheap valentines day flowers are available to send right across the UK. 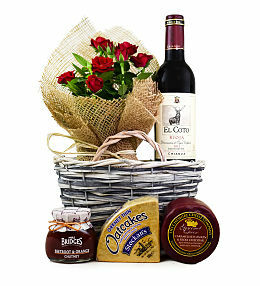 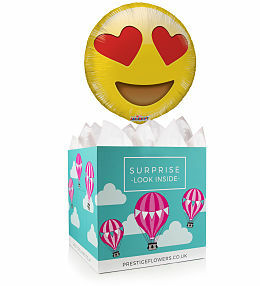 "I was looking for something special to buy my girlfriend on Valentine&apos;s Day as it&apos;s also our anniversary. 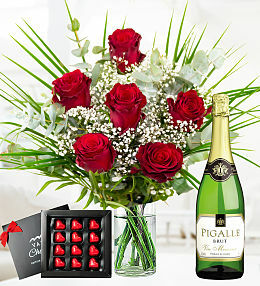 Although I didn&apos;t have much money I was able to get her a huge bouquet of her favourite flowers for cheap on Prestige Flowers. 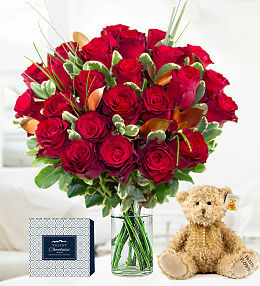 She loves roses so I got her a mixed bouquet and upgraded to large for only a little extra and it was worth it...my girlfriend loved it and couldn&apos;t believe how many roses there were she was really impressed. 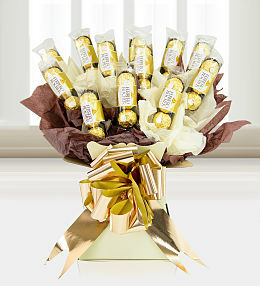 The bouquets on the flower website are so cheap and such great value for money." 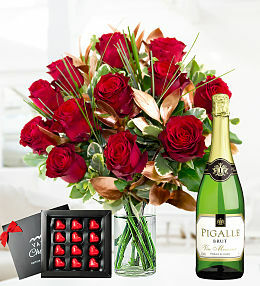 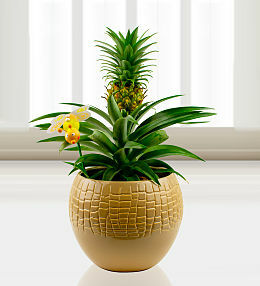 Ordering Valentine&apos;s Day flowers is so simple with Prestige Flowers. 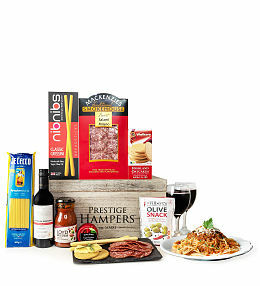 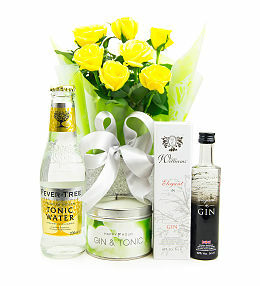 We offer same day, or next day delivery to anywhere in the UK, such as Manchester, Leeds, London, Glasgow, Cardiff or Belfast. 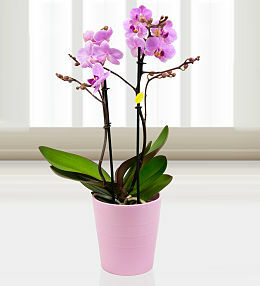 We even offer flower delivery on weekends! 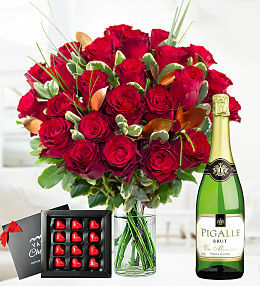 We have a large selection of beautiful flowers to offer you, you can also add gifts such as wine, champagne and chocolates, which go great with our romantic red roses, whether it&apos;s a dozen or a single one. 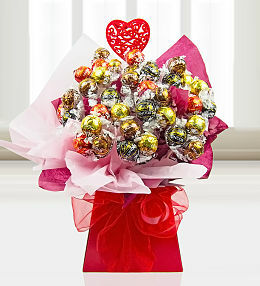 Surprise your loved one with these gorgeous Valentine's Day Flowers, complimented with a heart pick to make this bouquet extra special. 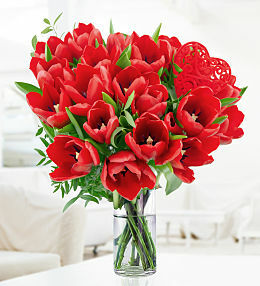 Valentine&apos;s Day Flowers - February 14th. 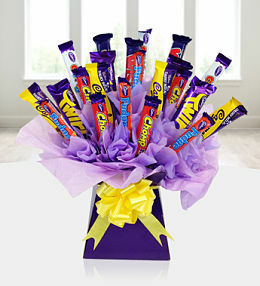 Spoil your loved one with beautiful flowers this Valentine&apos;s Day. 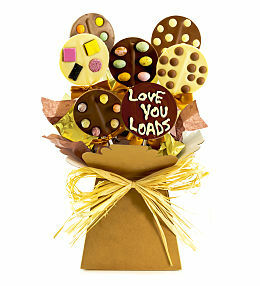 Most of our Valentine&apos;s flowers include a free box of delicious handmade British chocolates. 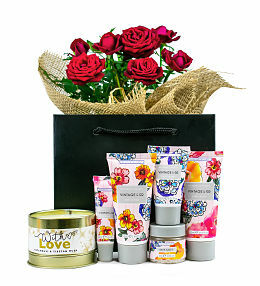 Our collection of Valentine&apos;s Day flowers allow you to express your love to those closest to you, whether you&apos;re sending a single red rose, or a bouquet of 12 Valentine&apos;s red roses - they absolutely epitomise love. 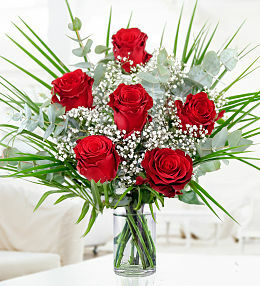 Pre-order your Valentine&apos;s flowers today and select delivery on Valentine&apos;s Day.